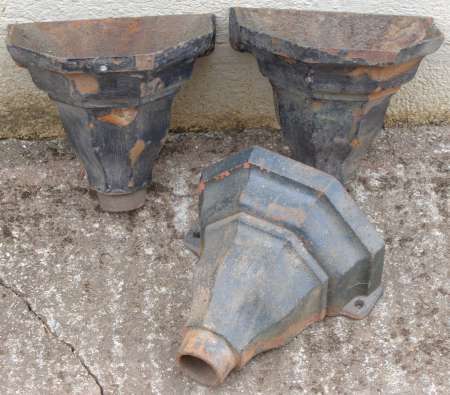 3″ reclaimed cast iron downpipe offsets/swan-necks. 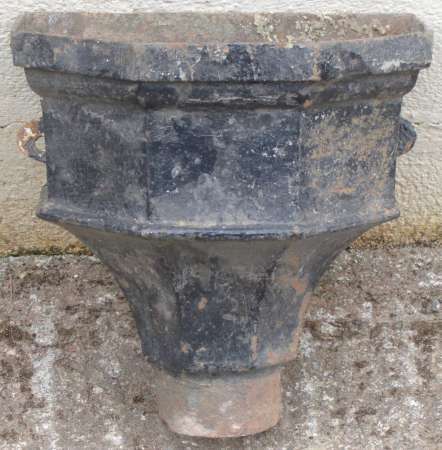 A selection of reclaimed cast iron down pipe bends available in 2, 2 1/2, 3 & 4″. A selection of reclaimed cast iron down pipe shoes available in 2, 2 1/2 & 3″. 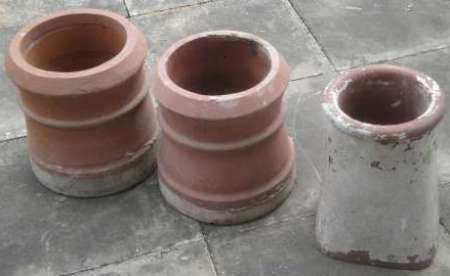 Pair of buff chimey pots. 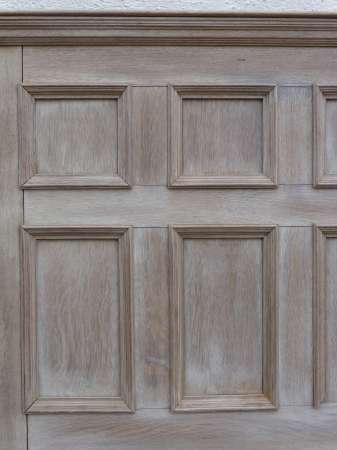 Reclaimed rustic oak beam – Inglenook?. 94″ x 8 1/2″ x 3 3/4″. 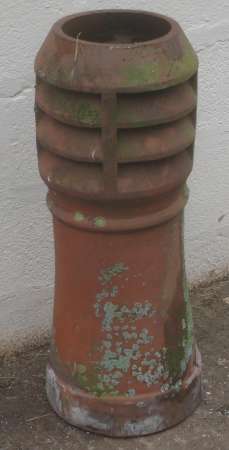 Cast iron corner rainwater hopper. 7 3/4″ high x 6 1/2″ radius x 2 1/2″ outlet. 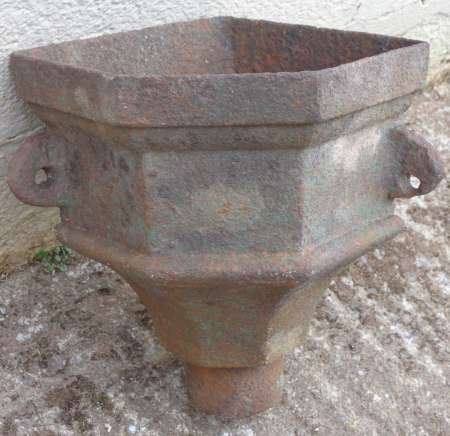 Large cast iron rainwater hopper. 10 1/2″ h x 12 5/8″ w x 8 5/8″ d x 4″ outlet. 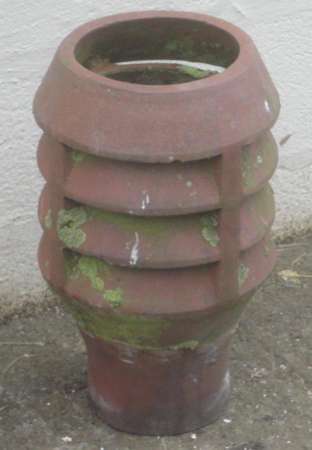 3 matching cast iron rainwater hoppers – only 2 now remaining. 7 5/8″ h x 9 1/2″ w x 6 1/2″ d x 2 1/2″ outlet . 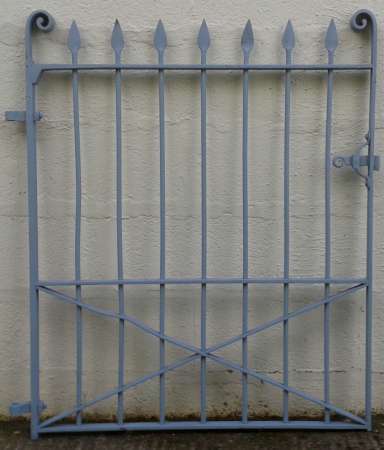 4 1/2″ cast iron guttering. 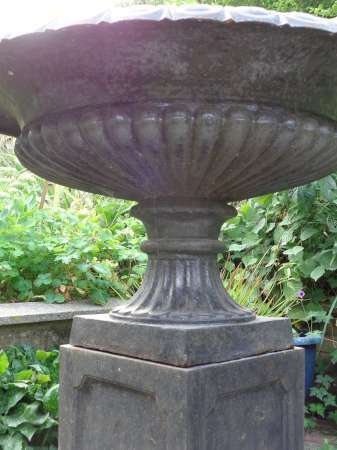 30″ high x 12″ base diameter. 18 3/4″ x 12″ diameter/ 7″ base diameter. 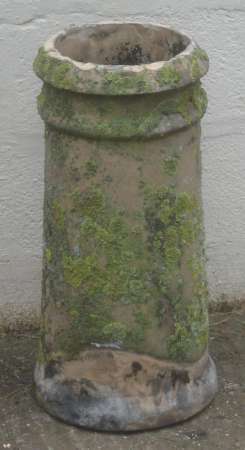 30″ x 12″ base diameter. 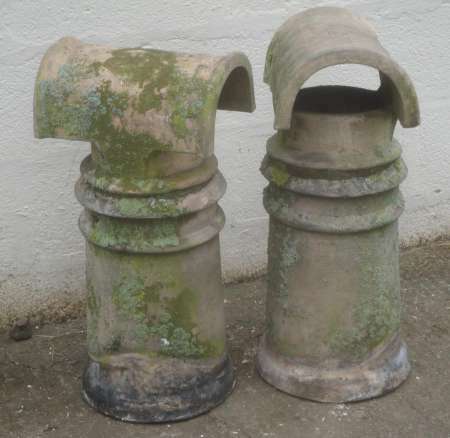 Cast iron rainwater hoppers in same design but slightly differing sizes. 1) 7 3/4″h x 9 5/8″ w x 6 3/4″ d x 2 1/2″ outlet. 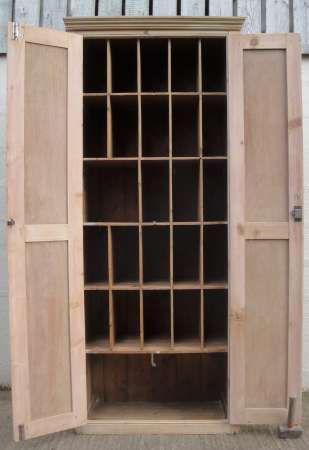 2) 7 1/2″h x 9″ w x 6 1/2″d x 2 1/2″ outlet.